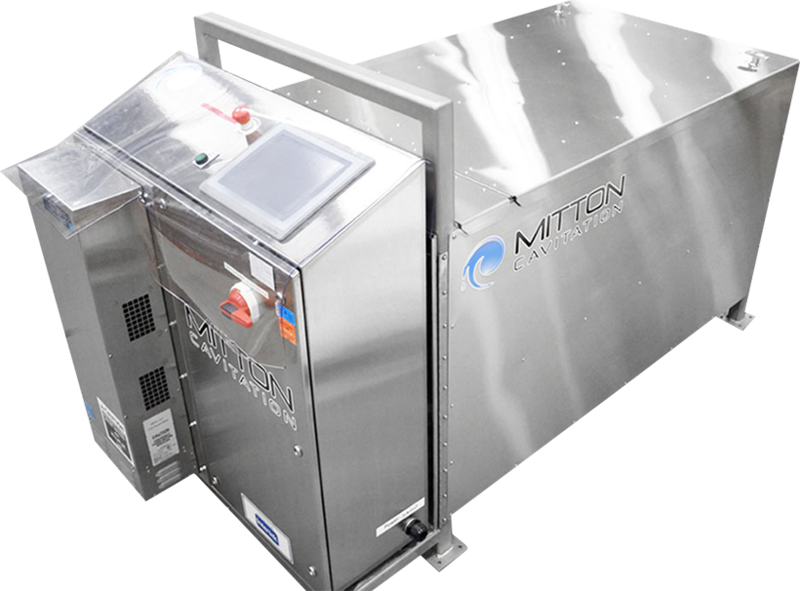 Portable, scalable, and easily integrated into existing wastewater treatment systems, the automated Mitton Cavitation Reactor (MCR) system exploits a nominal amount of kinetic energy to generate a field of cavitation that does the heavy lifting at the microscopic level. From altering chemical bonds and generating hydroxyl radicals to breaking emulsions and separating oils and suspended solids from water, finally harnessing and applying the destructive force of cavitation — just as we harnessed and applied wind, electricity or the atom — represents the dawn of a new industrial era. Welcome to the Cavitation Age. CAVITATION: The formation of partial vacuums in a liquid by a swiftly moving solid body (such as a propeller) or by high-intensity sound waves; also: the pitting and wearing away of solid surfaces (as of metal or concrete) as a result of the collapse of these vacuums in surrounding liquid. The environmental benefits of diminished waste haulage and carbon footprint have reinforced our commitment to community values and future generations. Understanding that the Mitton Cavitation Reactor system has profound implications far beyond the food processing industry, we are very proud to say that we were one of the first businesses to test, refine and adopt this incredible technology. Since my time at Syncrude, I have witnessed the Mitton Cavitation Reactor system's evolution to commercial maturity. A touch-screen user interface, sensor-driven, plug-and-play automation, and large, industrial-scale flow volumes are just some of the features that place this groundbreaking cavitation system at the forefront of redefining wastewater remediation in the oil and gas industry. Discover a future of simpler, more economical wastewater remediation by contacting Scott Smith at FMCI Fluid Solutions. He looks forward to sharing how, by working together, we can recover our planet's most precious and essential resource.